2018 Audi E-Tron vs Porsche Mission E - Which Concept Has More Potential? 2018 Audi E-Tron vs Porsche Mission E – Which Concept Has More Potential? Both Audi and Porsche showcased their new concept for electric powered vehicles during the Frankfurt Motor Show. The main difference between the two is that the 2018 Audi E-tron is an SUV, while the Porsche Mission E Concept is a sports car. But other than the main difference, there are many similarities between the two. The question is which concept vehicle has more potential to become reality and attract more buyers? With the improvement of technology, many vehicles will be able to offer mileage of 200+ miles. At the moment, the Tesla Model X, due for release at the end of September, offers a rating of 250 miles. The Audi E-tron and Mission E will take things up a notch. Based on the official releases, the 2018 Audi E-Tron will be able to deliver a mileage of 311 miles with a single charge. On the other hand, the Porsche Mission E Concept offers 300 miles with a single charge. But things are more complex in reality. Dig deeper and the Mission E offers supercharging. The Mission E Concept can recharge 80% of its battery in just 15 minutes, which translates to 250 miles. Audi’s SUV just cannot compete with those numbers. For comparison, the 2018 E-tron requires 50 minutes to charge from 0 to 100%. One of the reasons for Porsche saying that there is no timetable for the Mission E concept is that the company is waiting for the current technology to catch up with their imagination. The EV technology needed to execute the concept is still not fully developed. The Mission E Concept uses 800-volt system, operating at twice the voltage than any other current electric vehicle. The 800-volt system is unique and we haven’t seen something like that in the real world. According to Porsche, the system uses two permanent “magnet synchronous motors”, one located on the front axle and the second located on the rear axle. Audi, on the other hand, uses Level 3 DC charging stations for the E-tron. Charging requires a lot more time, but it is a realistic scenario. 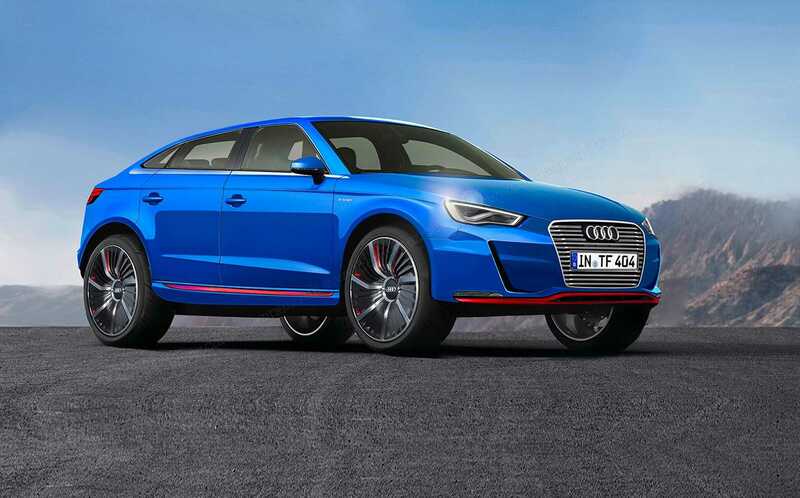 Audi even wants to develop a wireless charging system, which would be a little far-fetched at this point. 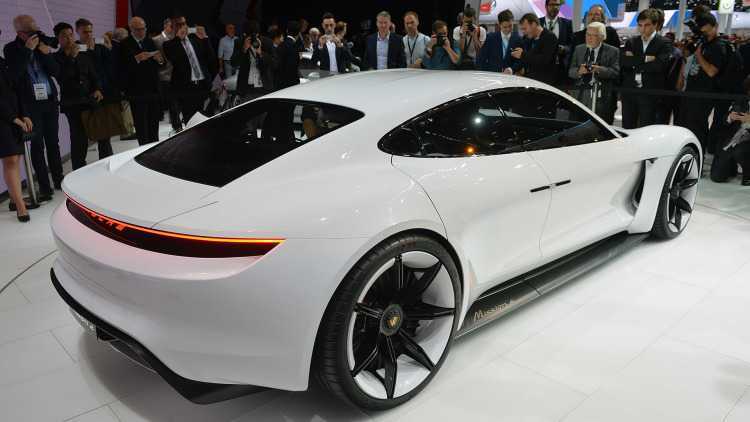 With that being said, Porsche’s dream is something that we would love to see in action, especially since it will deliver more than 600hp engine in an electric vehicle. If Porsche manages to develop the technology needed for the 800-volt system, it can surely win this battle. We mentioned that the main difference between the two concepts is that one is an SUV, while the other is a sports car. Well, when it comes to being practical, nothing beats a large SUV that might have seven seats. The Mission E Concept will be something that adrenaline junkies would love to have in their garage, but the potential for the 2018 Audi E-Tron is huge in terms of being able to reach mass markets. At the moment, the price for the Porsche Mission E Concept is not known. We do not know whether Porsche will make the Mission E a reality. However, judging by the policy of the company, Porsche is not the one to fail to deliver on their promises. The company has said the concept might become a reality in two or three years. On the other hand, the price for the 2018 Audi E-tron is rumored to be around $95,000. It is still too early to know, but with a price under $100,000 the E-Tron can attract a lot of buyers.